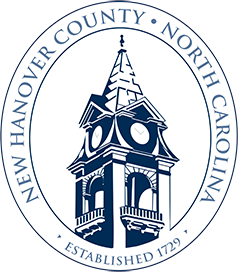 New Hanover County is constructing a new Public Health and Social Services building that will co-locate the county’s Public Health Department and Department of Social Services (DSS) to provide convenience for clients and create efficiencies in service offerings. The new building will be constructed behind the current DSS site located at 1650 Greenfield Street. Construction of the new building began in June 2018 and is projected to be complete, with Social Services and Public Health staff moved in, by the spring of 2020. During construction, Health Department services will continue at their current location (2029 S. 17th Street). Social Services operations will also continue at their current location, with client parking available in the front and on the west side of the building. Overflow and off-site parking for DSS will be located at the Scottish Rite Temple (1415 S. 17th Street). A new crosswalk and traffic light have been installed across 17th Street to accommodate pedestrians. Energy efficient features – Duke Energy estimates the building will consume 29% less energy than a standard office building of the same size. May 23, 2018: Groundbreaking ceremony was held to officially kick off the construction phase of the project . Fall of 2019: Building will be complete, DSS staff will move in and begin services from new building; then the former DSS building will be torn down and a new parking lot will be built in its place.